Spotify, in partnership with Smirnoff, has unveiled the “Smirnoff Equalizer,” a new tool that calculates and displays the gender breakdown of the artists that you listen to. The equalizer shows the percentages of female and male musicians that you stream, and it also creates an “equalized” playlist with a more balanced gender breakdown if your percentages are out of whack. This new extension arrives just before tomorrow’s International Women’s Day. Sexism in the music industry has been a widely discussed topic as of late, especially due to the gender inequality of major music festival lineups, and this year’s Grammy Award nominees and winners. Both of these problems will hopefully be addressed by recent efforts and public outcry. After Grammy Awards president Neil Portnow said that women in music “need to step up” (though he later walked back those comments), a task force has been created to address sexism at the Grammys and the music industry in general. Yesterday, it was announced that Tina Tchen, former chief of staff to Michelle Obama and administrator of the Time’s Up legal defense fund, will lead the task force. Forty-five international music festivals pledged last month that they would commit to a 50/50 gender split on their lineups by 2022, but many have questioned why it would take them so long to implement such a shift, pointing out that so much more needs to be done given the deep, ingrained bias that exists. 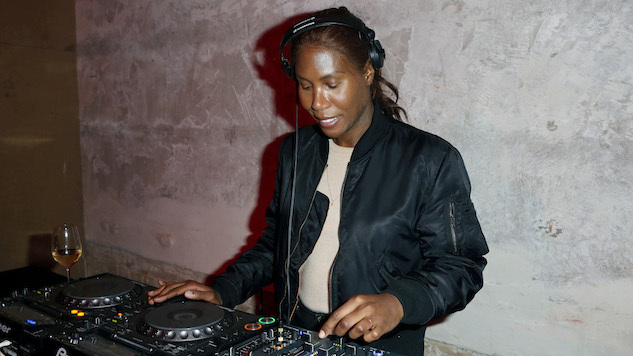 Try the Smirnoff Equalizer for Spotify here and check out a video about the new tool below, featuring DJ and producer Honey Dijon.